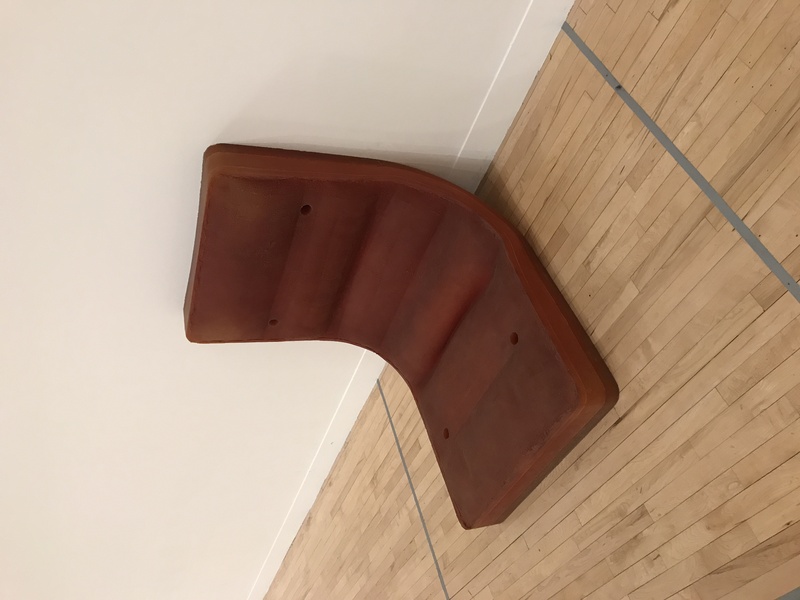 Tate Britain, London, November 27th 2017 – Rachel Whiteread retrospective. I deliberately avoided doing extensive research into Rachel Whiteread before I attended the exhibition as I wanted to view it with a completely open mind and discover for myself whether or not I perceived this sculptural artists work as being feminist, feminine or both. 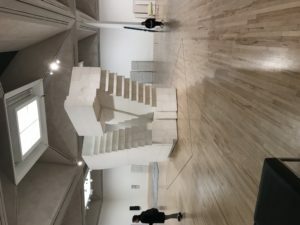 I was quite late arriving at the Tate, so was blessed with the fortune of a fairly empty gallery and was able to appreciate each piece set in context within the wide open space. 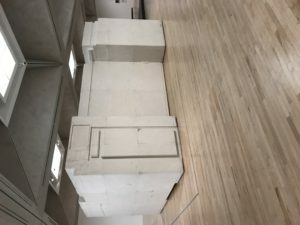 Rachel Whiteread is an English artist in her mid 50’s, she has been producing artworks for over 30 years and was in fact the first woman to win the Turner Prize in 1993 with her sculpture ‘House’ which was a caste of the inside of the last remaining terraced house at 193 Grove Road, Bethnal Green. 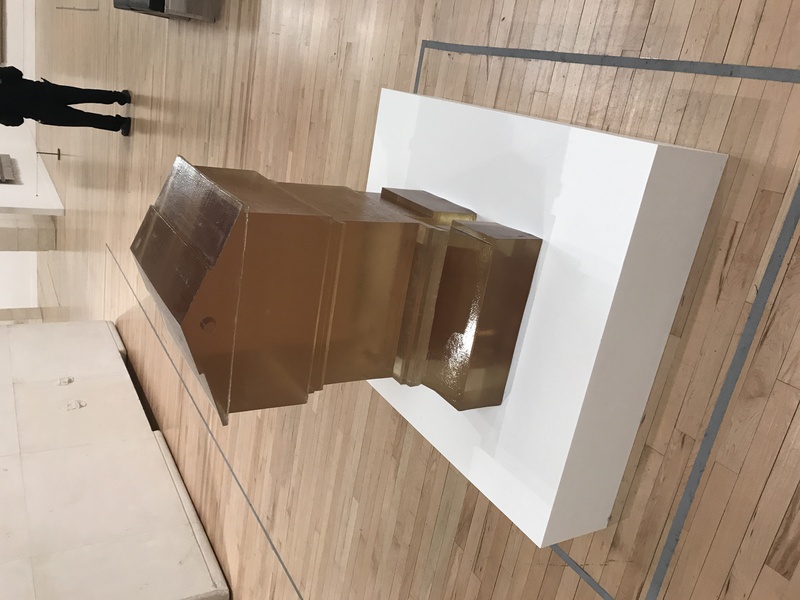 This highly emotive work stood for Just 80 days before being bulldozed by the local council in January the following year, despite protest from local residents and members of Whitehall. Her mother was the feminist artist Pat Whiteread and her father was a geologist so she grew up in a left wing politically engaged family whom also had a lot of concern for environmental issues, two things which would inform her own practices. 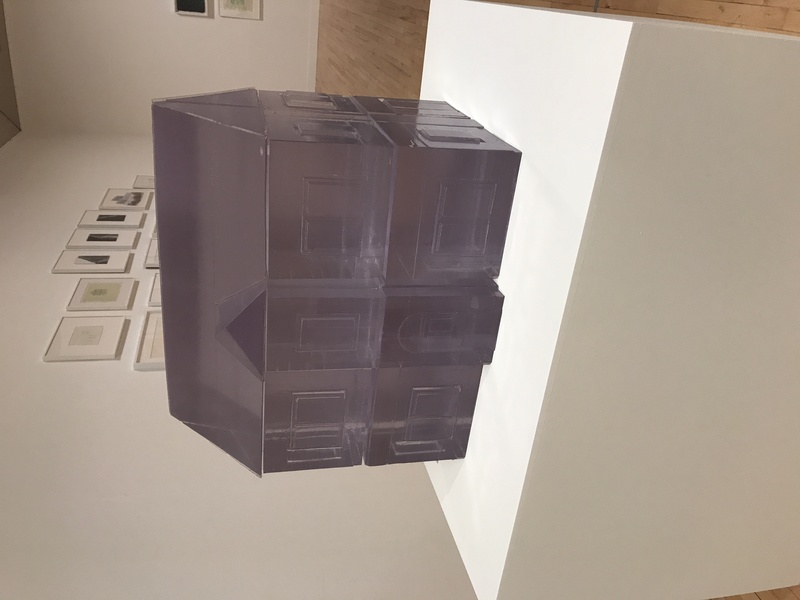 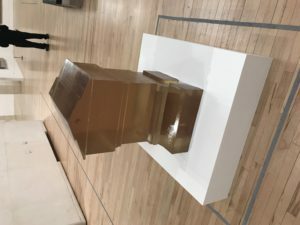 Her works concentrate on ‘fusing everyday vernacular forms with personal as well as human experiences and memories’ (Rachel Whiteread, Tate Publishing, 2017) something which came across in the retrospective very clearly. It would appear that her motivation to make art is based primarily upon her own reflections of her childhood and her subsequent life experiences. 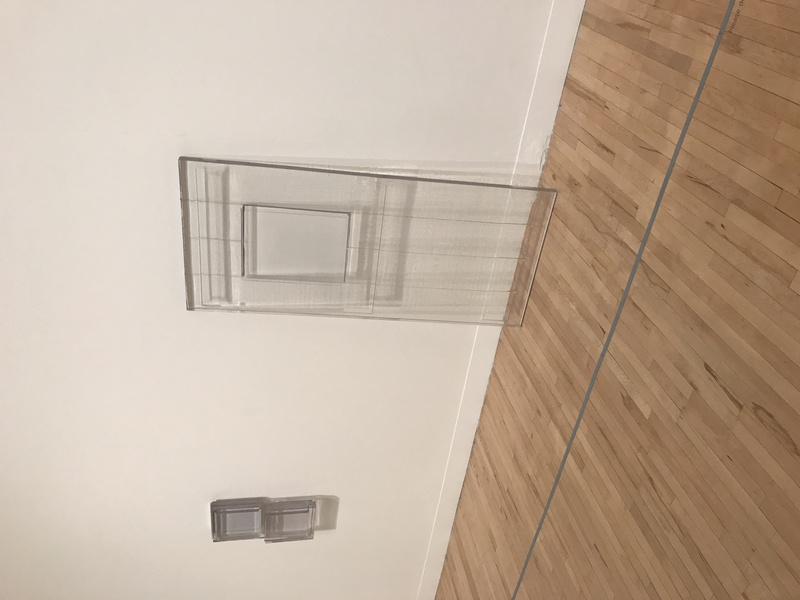 An early work from 1988 is the caste of the inside of a wardrobe such as one would have commonly found in most 1960’s households. 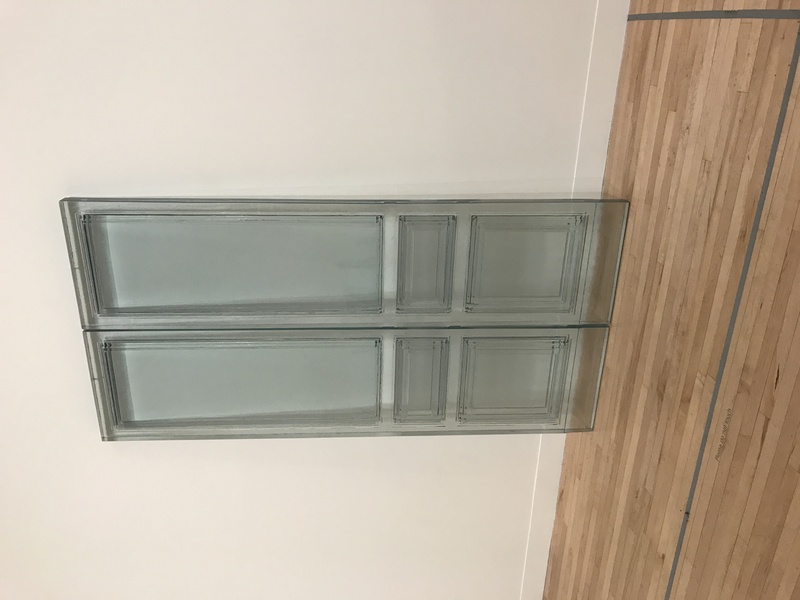 The idea behind the sculpture being not to produce a ‘wardrobe’ but rather to look at and draw attention to that which resides in the blank spaces created by the interior of the structure, the ‘soul’ of the wardrobe perhaps? 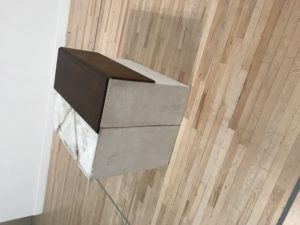 There is a definitive emotional quality within her work which was evident from the first few moments of entering the exhibition space which took me by surprise as the materials used are very heavy looking inorganic compounds. 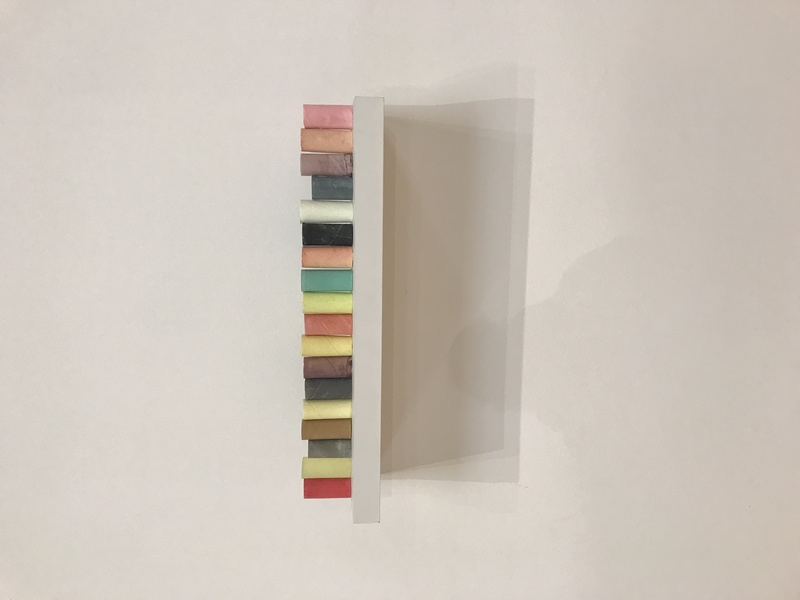 Her collection of ‘torsos’ for example which are actually casts of the insides of hot water bottles are reminiscent of tiny headless, limbless babies, which despite being cast in resin, plaster and concrete, still hold an emotive resonance which one would normally associate being evoked by much softer, organic materials. 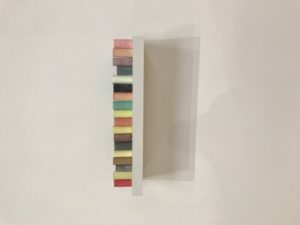 The casting techniques which she uses have been honed and perfected over many years of practice. 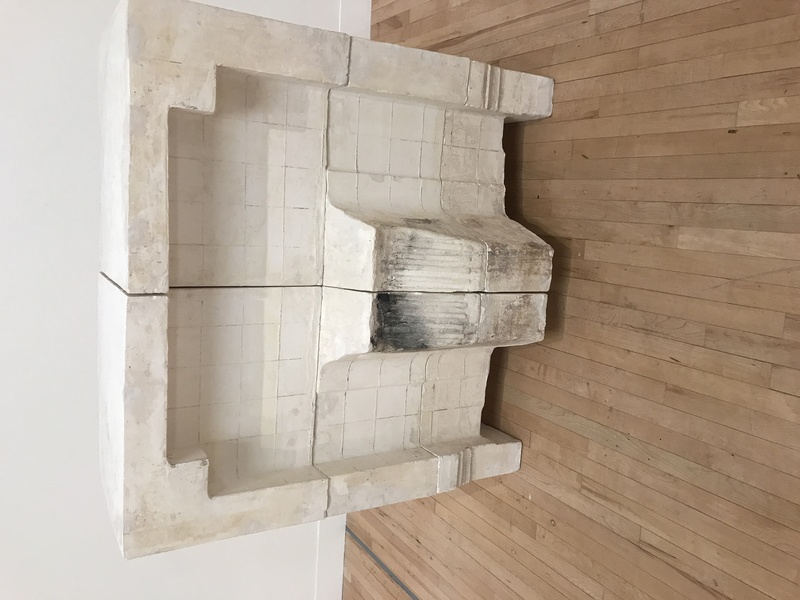 She began by using plaster and experimenting with different release agents. In order to fully fill each cavity, she drilled holes in the dried plaster and refilled them with fresh plaster to ensure that each minute detail of the original surface was recorded. 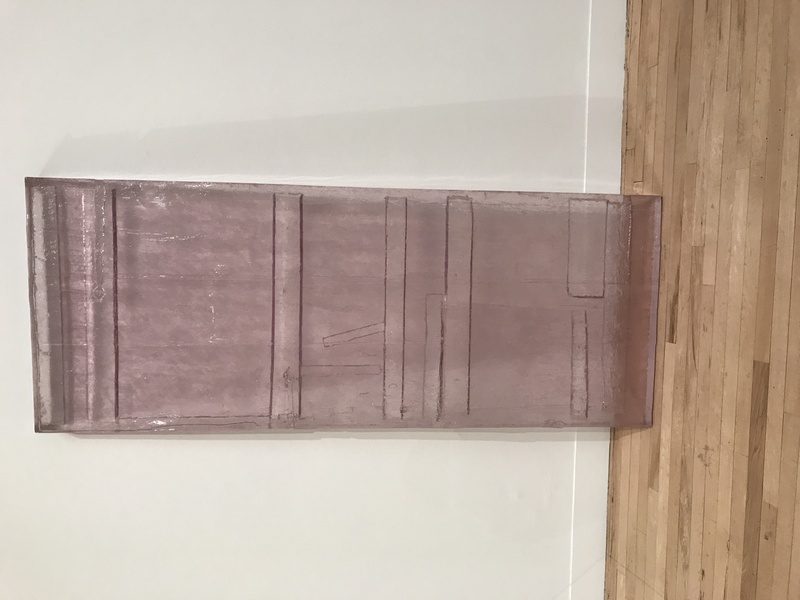 Some of her work uses resin and glass to pick up the delicate, sometimes unseen qualities of the subjects’ surface rendering the sculpture as ‘see through’ or ‘ghost like’, a term she uses to title some of her pieces. 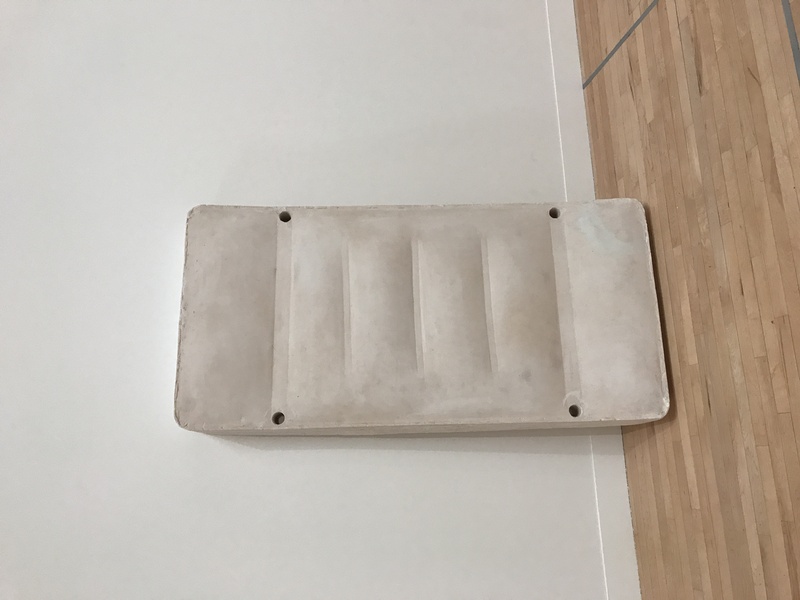 Her larger works are wrought using different forms of industrial concrete, the colourless forms often adding to the mystery and drama of the piece and for me evoked a sense of loss and sadness. The fact that the original object is destroyed in the casting process only adds to this sense of ‘momento mori’.